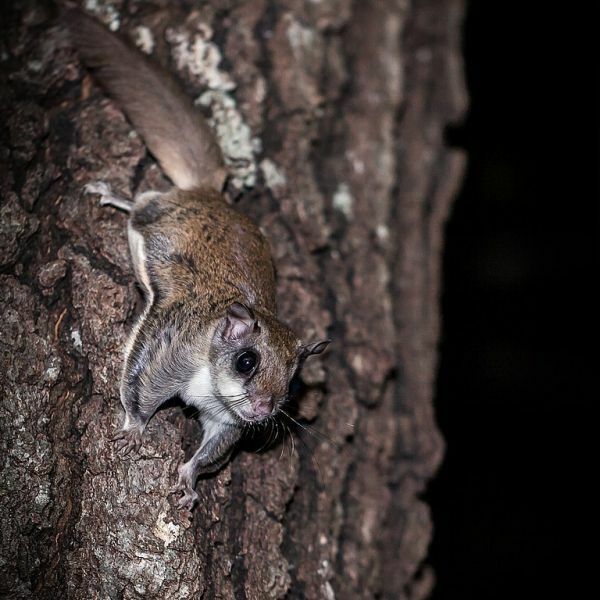 Forestry professor Jon Martin was out in the woods of Wisconsin at night, using a UV flashlight to search for fluorescent lichens, fungi, and any other fluorescent life, when he encountered a flying squirrel. He pointed his flashlight at it, and was astonished to see the rodent glow in a bubblegum pink color! Martin contacted biologist Paula Spaeth Anich, and together they set out to investigate. They checked out specimens of all three species of North American flying squirrel at museums. All but one specimen glowed under UV light, while non-flying squirrels did not.